Much of the research in condensed-matter physics at The University of Alabama is conducted at the Center for Materials for Information Technology (MINT), an interdisciplinary program that involves faculty from several departments. The work in the MINT center ranges from quite applied work (e.g., Dr. Hauser works on the fabrication and study of new electronic and magnetic materials) to very fundamental studies (e.g., Prof. T. Mewes‘s work on the interaction between magnetization and phonons and other damping mechanisms in metals). 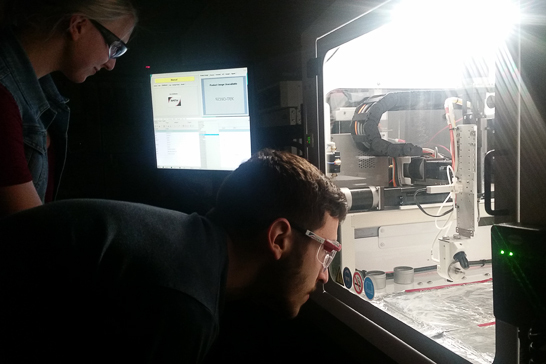 Researchers Erik Zillner (foreground) and Jennifer Shankwitz (back) testing automated nanoparticle deposition procedures in the MINT cleanroom’s ultrasonic spray deposition system. Experimental work in the MINT center is facilitated by two clean rooms. Several sputtering systems are available for sample synthesis. Characterization equipment includes alternating-gradient and superconducting vibrating-sample magnetometers, as well as scanning and transmission electron microscopes, scanning atomic force and tunneling microscopes, and Auger and x-ray photoelectron spectroscopy. Prof. Mankey uses specialized measurement techniques available at national facilities, such as magnetic x-ray spectroscopies using synchotron radiation (at ANL, CAMD, SRC, and BNL) and neutron reflectometry and scattering (NIST and ORNL). Microwave-frequency FMR measurements are made with shorted-waveguide and coplanar-waveguide techniques. Prof. Schad has measured noise properties of tunnel junctions, while Prof. LeClair specializes in low temperature measurements and superconducting tunnel junctions. Dr. Araujo focuses on Near-Field, Raman and Photoluminescence spectroscopy of 1D-materials (single-, double- and triple-wall carbon nanotubes) and 2D-materials (such as graphene and transition metal dichalcogenides). He has also been working on the growth of graphene using the chemical vapor deposition technique. Many students who have received graduate degrees working in MINT are now employed in the information storage industry. There is also a substantial theoretical component of the MINT center. Prof. Butler‘s fundamental work on tunneling wavefunctions in Fe | MgO | Fe junctions, predicting high magnetoresistance, is now being applied in magnetic devices. Prof. Visscher has developed statistical techniques for predicting thermal effects in the new field of spin torque switching. Dr. C. Mewes works on spintronics, focussing on materials design, optimization, analysis, and modeling for Spin-Transfer-Torque Magnetic Random-Access Memories (STT-MRAM) and Non-Volatile (NV) Spin Logic. Dr. Tse works on the effects of strong magnetic or optical fields, topological properties, as well as many-body interactions in low-dimensional electron systems; his research is often motivated by an attempt to explain interesting experimental observations or to bridge between different topics so as to produce new physical insights or predictions of new phenomena. Dr. Schwiete studies transport and non-equilibrium phenomena in disordered many-body systems and quantum materials, including aspects of spintronics. Not all condensed-matter research in the department is related to magnetic materials — in addition to his work on magnetic transition-metal oxides, Prof. Sarker works on high-temperature cuprate superconductors and fullerenes. Prof. Tipping‘s condensed-matter work is on optical properties of molecular solids; in addition, he has worked on optical spectra of atmospheric gases in collaboration with government laboratories interested in remote sensing. The experimental particle physics faculty are members of international collaborations carrying out searches for neutrino oscillations and neutrino-less double beta decay (Busenitz, Piepke, Stancu, Ostrovskiy), direct detection of dark matter particles (Busenitz, Piepke, Stancu, Ostrovskiy), as well as signs of new physics beyond the Standard Model of elementary particle physics (Henderson, Rumerio). The Compact Muon Solenoid being assembled. This particle detector in Switzerland recently discovered the Higgs Boson and continues to search for new particles. UA faculty Conor Henderson and Paolo Rumerio are part of the collaboration using this detector. The aim of the neutrino experiments is to shed further light on the questions of neutrino mass, neutrino flavor mixing, and the nature (Dirac versus Majorana) of the neutrino. A major part of the group’s work in performing detector simulation studies (designing and building detector subsystems and carrying out data analysis for physics) is done on campus, making extensive use of local resources. These resources include several thousand-square feet of well-equipped laboratory space, a high-sensitivity radioassay laboratory, professionally staffed machine and electronics shops, and a cluster of computer workstations with high-speed network (Internet2) connections. The group is also involved in the LZ experiment, which seeks to directly detect dark matter particles. 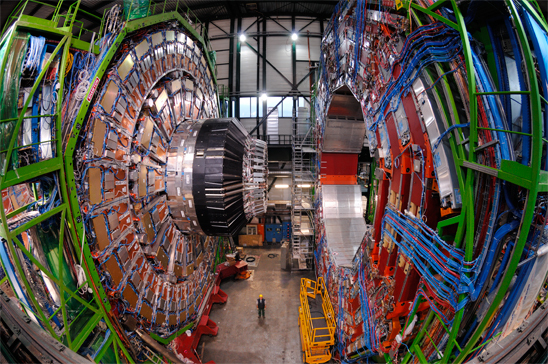 Dr. Henderson and Dr. Rumerio collaborate on the Compact Muon Solenoid (CMS) experiment at the Large Hadron Collider (LHC) in CERN, the European particle physics laboratory in Switzerland. The LHC is colliding protons at the highest energies ever achieved in the laboratory, and it is hoped that these high-energy collisions will uncover the elusive Higgs boson, and perhaps reveal even more exotic new physics, such as supersymmetry or extra dimensions of space. Supersymmetry is a unifying principle which helps overcome the divergence problem and the “naturalness” problem of the Standard Model. All consistent string theories are supersymmetric. Therefore the study of supersymmetric spacetimes is worthwhile because of the intrinsic interest of such spacetimes and because of their importance to other theoretical investigations. There are relatively few spacetimes which possess at least some supersymmetries. Prof Harms has developed a method for generating spacetimes which possess fractions of the maximal supersymmetry for D = 11 supergravity, thus increasing the number of supersymmetric spacetimes available for study. Harms also investigates topics in noncommutative physics, including: a) determining the strength of the limits on non-commutative parameters which can be set by the Josephson effect, b) considering inflation driven by the Casimir energy due to noncommutative extra dimensions. Prof. Stern‘s current research interests include solitons, topological field theories, duality, quantum groups, and applications of noncommutative geometry. Dr. Kaminski connects fundamental theoretical principles with feasible experiments, using both analytical and numerical methods. In particular, Dr. Kaminski considers principles learned from the mathematical framework of string theory. Then he applies these fundamental principles to strongly coupled quantum systems, which are far from being in equilibrium. Example systems for such far-from-equilibrium physics of strongly coupled systems are heavy ion collisions, our universe right after the Big Bang, neutron stars, ultracold atoms, and particular phases of condensed matter. 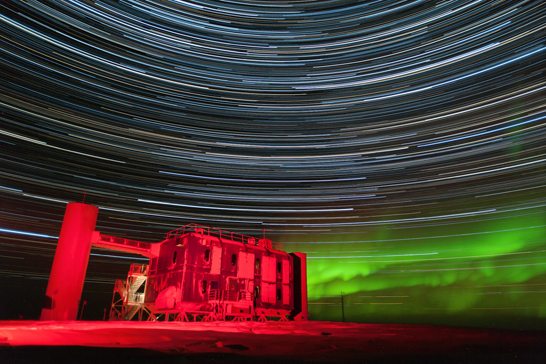 The IceCube lab, with star trails. Dr. Williams is developing techniques to identify tau neutrinos detected by IceCube, which is the largest neutrino detector on Earth and is located at the South Pole. Dr. Toale is also involved with IceCube, as well as with the High Altitude Water Cherenkov (HAWC) gamma ray observatory, which is currently under construction near the highest peak in Mexico (4100 m); when completed, HAWC will be the most sensitive detector of gamma rays for energies above 10 TeV. Dr. Okada, a theorist, is investigating signals for new physics at the Large Hadron Collider and in astrophysical observations. Adjunct Prof. Biermann is active in high-energy astrophysics, particularly in theoretical studies of cosmic rays and active galactic nuclei. from both observational and dynamical points of view. This involves observations of various tracers of star-formation history and Doppler mapping to recover the locations of resonant points in spiral galaxies, to allow a detailed comparison with theory to refine our understanding of the internal working of galaxies. Galaxy interactions and evolution (Bill Keel, Preethi Nair): comparison of galaxies in various redshift ranges to build a consistent picture of how galaxy populations have changed with cosmic time. Galaxy halos (Jeremy Bailin): observational and theoretical studies of the stars, dark matter, dwarf galaxies, and globular star clusters in the outskirts of galaxies. 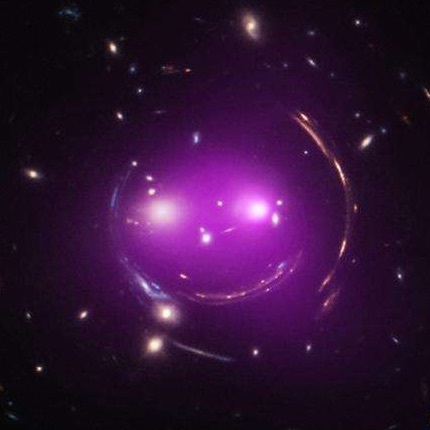 Observational and theoretical study of hot gas in galaxies and clusters of galaxies (Jimmy Irwin, Ray White), using the observed chemistry and energetics to constrain how galaxies evolve. Observational study of neutron stars and black holes accreting matter from neighboring stars in binary stellar systems (Jimmy Irwin). Theoretical study of white dwarfs accreting matter from neighboring stars, leading to stellar explosions (Dean Townsley). 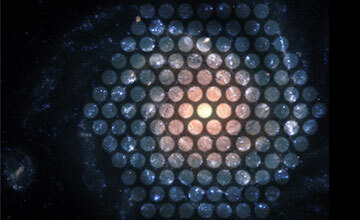 The astronomy group uses a network of Linux and Apple computers, including a high performance Linux cluster, along with astronomical software packages such as IRAF, IDL & Ciao. The high-speed computing facilities of the Alabama Research and Education Network in Huntsville are available. The University is part of the Southeastern Association for Research in Astronomy (SARA), which operates optical telescopes in Arizona and Chile, of which UA observers have a 10% share. Dr. Nair’s group are members of the Sloan Digital Sky Survey. Astronomy group members are regular users of NASA satellite observatories (Hubble, Chandra, XMM-Newton, GALEX, Swift, Suzaku) and ground-based telescopes worldwide. Research is supported by the NSF and NASA.